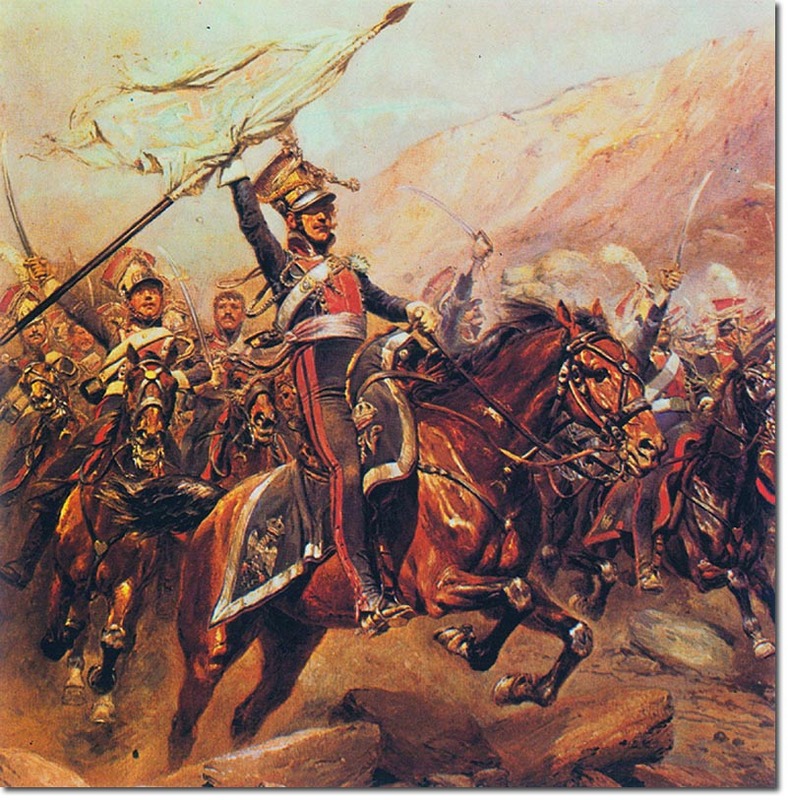 Napoleon took Polish lancers into his service and formed an elite cavalry unit for his Imperial Guard. They were fierce fighters and very proud men. The officers were always depicted as haughty and elaborately uniformed. The official title of the regiment that fought against the 7th Hussars at Genappe was Le 1er Regiment de Chevau-Legers Lanciers Polonais de la Garde Imperiale.